What is the most expensive bottle of wine or beer you have ever seen or purchased? Now compare that to the most expensive coffee you have ever seen or purchased. The most expensive coffee, in the vast majority of cases, pales in comparison to their craft counterparts. Beer enthusiasts go to taprooms expecting to spend upwards of seven dollars on a pint, whereas coffee aficionados go to a café expecting to spend no more than four to five dollars. While not a perfect comparison by any means, the example serves to show the greater willingness of craft beer imbibers to pay top dollar for great beers. However, even though the gap in profit margins still looms large, companies are willing to push the envelope, highlight the nuance of coffee and sell it for a higher price. Organizations like The Cup of Excellence, who hold online auctions for the best coffees , and roasters like Heart Coffee in Portland, Oregon and Tim Wendelboe in Oslo, Norway, are working to change the perception of coffee from commodity to luxury. In the tech world, craft beer and wine drinkers have apps that allow their users to explore their respective craft industries, catalogue their drinks, record their tasting notes and ratings, and share them with their fellow enthusiasts. Coffee, on the other hand, despite its complexities and newfound “third wave” community, has been left behind in the tech world, until now. In the past year or so, coffee drinkers have been introduced to a group of useful new apps that can serve to grow their knowledge. The most apt comparison to beer’s Untappd or wine’s Vivino is Fika. Fika is a social coffee journal. 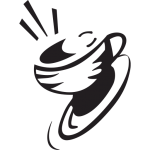 It is a community of third wave coffee drinkers that want to discover new cafes and roasters, catalogue, rate, and give tasting notes for the coffees they drink, and share them with their friends. Another new tech addition is the half-coffee subscription, half-app – Angel’s Cup. Angel’s Cup is a coffee subscription that allows a user to record their coffees from Angel’s Cup’s subscription, and then you can compare your notes to Angel’s Cup’s roastmaster. If a coffee drinker wants an app to help them find great coffee, he or she has a number of options. Dripper is an app of third wave coffee shops around you, and their users are the ones who submit the shops and the shop details. The hope is that these apps will uplift coffee to the same status as wine or craft beer. In 1974, specialty coffee became an official term, but it was not until this “third wave” of coffee appeared that coffee began to turn from a bitter, morning necessity into a luxury good that was worthy of connoisseurship. With the help of Fika, Angel’s Cup, Dripper and others, users will begin to see that where their coffee comes from and the environment in which it is grown (or provenance and terroir,) dramatically changes what they taste in your cup. While coffee is still years behind the craft beer scene (just like Fika, Angel’s Cup, and Dripper are a few years behind both Vivino and Untappd), third wave shops are cropping up everywhere. Thus, the consumers’ options of what to drink are becoming endless. Not only can one drink Madcap’s Reko two years in a row and taste how it has changed since it was last in season, but one can also go to Cape Town, South Africa to taste Rosetta Roastery’s Reko, and then return to the United States to try George Howell’s, as well. 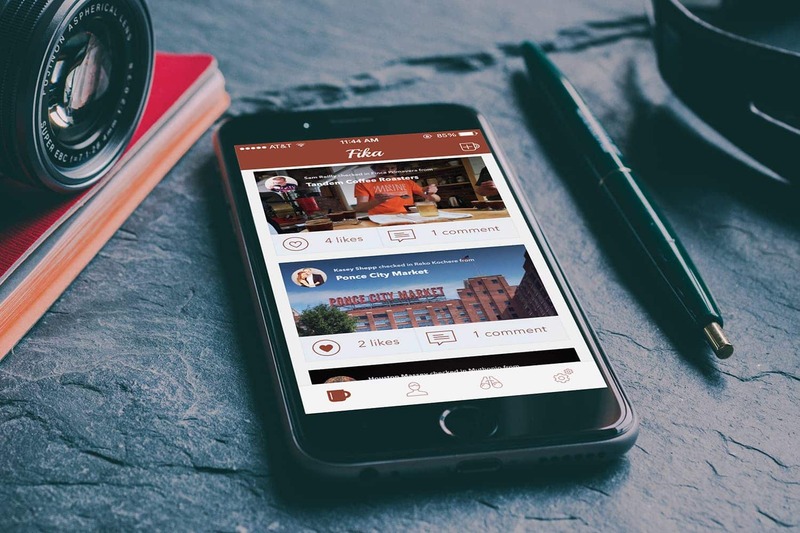 Perhaps most importantly, these apps can assist in the quest started by the Cup of Excellence and the roasters on the industry’s frontier in changing the perception of coffee. With the help of these apps, consumers will begin to recognize regions, varietals, and even farmer names. As a result, they will begin to understand what to expect with each specific characteristic of their coffee. For cafes and roasters, they can showcase their coffees on Fika or Angel’s Cup, and receive feedback about how their consumers are enjoying their product. Finally, in the pursuit to change the perception of coffee, we will hopefully see the perception evolution reach the producers. If coffee drinkers change their expectations surrounding how much money they should spend on coffee, then some of that profit can make its way down to those at the beginning of the coffee chain. Now, with the advent of these new apps, roasters and cafes have the tech industry by their side to contribute, in some way, to that search. The more that the average consumer realizes how exotic and rare great coffee is, then the more they will be willing to pay to find the ultimate cup.